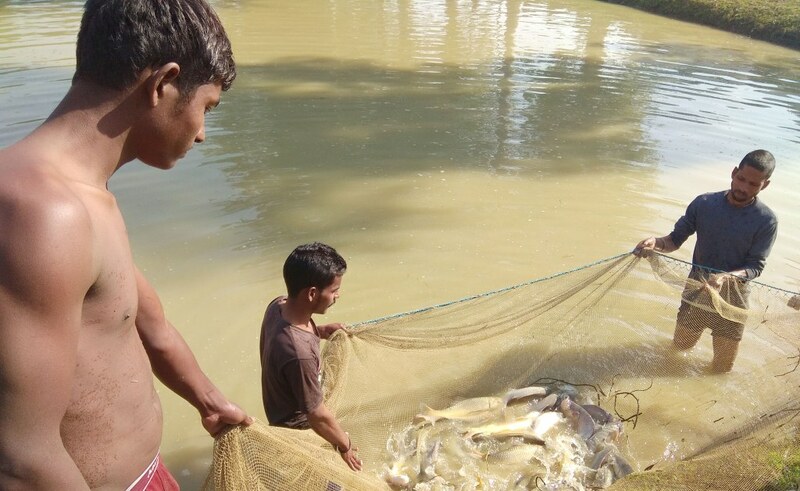 Fish farmers need to offer some special care towards their fish ponds during rainy season to protect their stock from sudden changes in water quality and prevent physical damages to the pond due to erosion of dykes, besides having proper drainage arrangements to prevent overflow of water and escape of stock thereof. 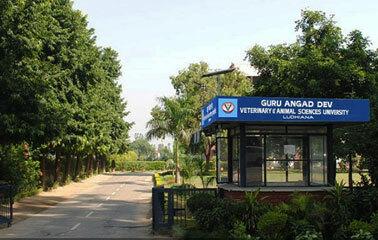 The information was shared by Dr. KS Sandhu, Dean College of fisheries, Guru Angad Dev Veterinary and Animal Sciences University, Ludhiana. Dr. Meera D Ansal, HoD said that it is recommended to keep 5 to 6 feet water depth with 1.5 to 2.0 feet free board in the pond to accommodate rain water. Secondly, it is very important to maintain sufficiently raised dykes in low lying areas, where large volume of runoff water from adjoining catchment area can enter into the pond. If not taken care of, it may lead to flooding, escape of stock and entry of unwanted pollutants, including pesticides, which may cause fish mortality. To prevent erosion of pond dykes due to heavy rainfall, it is advocated to grow grass and other plants on the slopes as well as the top crest. Erosion of dykes increases turbidity of water and it becomes muddy, which affects photosynthetic activity leading to critical decline in oxygen levels. Under this condition it is advised to keep the pond well aerated. Dr Meera said that water pH also falls down after rainfall and the water become acidic. Heavy intense rainfall may results into sudden abrupt pH changes in upper layers of water leading to serious physiological changes, which affects fish growth and may even cause mortality under severe condition. So it is advised to keep the pond water circulating through aeration and periodic exchange of water. For this purpose, it is recommended to use pond water for irrigating paddy fields, if possible and add fresh water in the ponds. In case, during rainy season, cloudy condition persists during the day time, stop feeding the fish and resume feeding on the next sunny day. She recommended that if algal blooms appear in the pond, which can be judged from the dark green color of water as well as floating mats of algae on the water surface, stop feeding the fish and adding manures in the pond. During rainy season, if the farmer observes that the fish is coming to the surface of water to gasp atmospheric air due to oxygen depletion, aerate the water immediately by adding fresh water or by use of an aerator, stop feeding and go for thinning of stock, if it is more than the recommended stocking density.